Saturday Showers, warm in SE. Mostly sunny, warm in NE. Sunny, very warm in the west. Sunday Showers, warm in SE. Mostly sunny, warm in NE. Mostly sunny, warm in NW. Mostly cloudy, warm in SW.
Monday Showers increasing, warm in SE. Showers, warm in NE. Mostly sunny, warm in NW. Showers, cool-to-mild in SW.
Tuesday Showers, warm in SE. Late shower, very warm in NE. 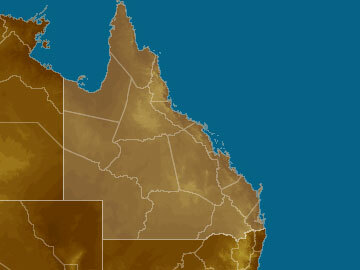 Mostly sunny, very warm in the west. 14:47 AEST As large parts of South Australia swelter through yet another day of above 30-degree heat, it is hard to believe that temperatures are expected to plummet into Easter Sunday by as much as 15 degrees.